A land of outstanding beauty, Chile´s mountainous and volcanic, lake riddled scenery is home to a few interesting cities that have a whole host of attractions just waiting to be explored. With fantastic beaches, historic architecture and delicious cuisine as well as lively nightlife and inspiring museums; the best cities in Chile have something for everyone to enjoy. 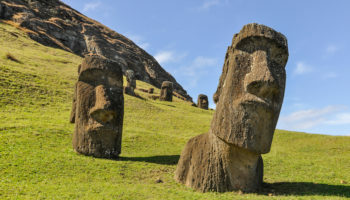 A range of different cultures have left their impact on this land and so the bustling streets are home to cosmopolitan and diverse populations that make for a unique cultural experience. Set in the beautiful landscape of the Northern Chilean Patagonia, Coyhaique is the largest city in the area and is the urban center for the region. As such there are various malls, restaurants, hotels and nightclubs for visitors to check out. While the setting of the city is stunning with the impressive mountains rearing up all around it, most visitors use it as a base from which to explore the nearby natural wonders. 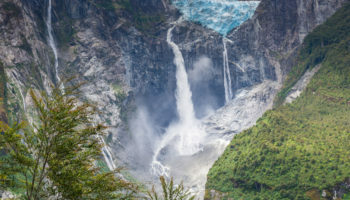 With fantastic trekking, fly-fishing and mountaineering on offer, the surrounding delights of Patagonian ice caps and the lovely sights that line the winding Carretera Austral road make Coyhaique worth stopping by. Despite its picturesque setting on an attractive bay with snow-capped mountains on the horizon, even locals sometimes refer to it as ´Muerto Montt´ (Dead Montt) due to the lack of things to see and do. As an important port, the city is quite grimy although there are a few nice restaurants which are worth checking out. 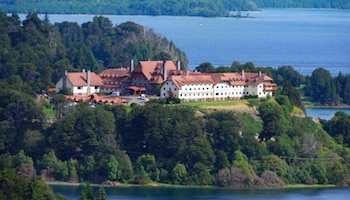 The capital of the Lake District has great transportation links and so Puerto Montt is mainly visited by tourists looking to visit Chile´s glacial lakes, awe-inspiring volcanoes and beautiful national parks. This sprawling metropolis is home to a large student population and consequently there is a lively arts and cultural scene. The youthful feel to the place has manifested itself in a boisterous nightlife and an energetic music scene with many of Chile´s best acts originating from Concepcion. While the city itself is relatively uninspiring due to the earthquakes that have plagued its history, it is the ambiance and energy about the place that makes it worth visiting. As the most important university town in the south of the country, Valdivia has a lot of cheap bars, restaurants and cafes as well as a thriving arts scene which gives the city a youthful feel to it. Lying at the spot where the Calle Calle and Cruces rivers join, it is a picturesque place surrounded by waters and wetlands and old colonial buildings are interspersed among more modern edifices. Following Chile´s independence, German settlers flocked to the area and as such there are some great local beers and atmospheric bars. Every year the local brewery puts on a bierfest with German music and performances by folk bands. A scenic city, Castro lies at the head of a fjord on Chiloe Island and its brightly colored wooden houses that sit on stilts above the water give a distinctive feel to the place. Modern buildings mix seamlessly in with its older buildings and churches and thanks to its range of fantastic trendy restaurants it is considered a gastronomic destination. Castro is a surprisingly cosmopolitan city for its location although the local Chilote culture still shines through. Many visitors to the city use it as a base to explore the island and the nearby archipelago. 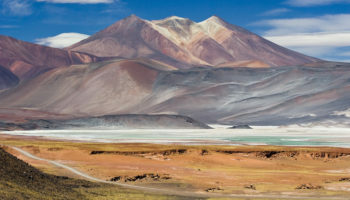 Lying between the Atacama Desert and the Pacific Ocean, this sprawling city is an industrial centre for the region and as such its soulless modern developments and high-rise tower blocks often scare tourists away. While the grimy port is indeed quite unattractive, Antofagasta does have a few nice spots on offer with the old plaza being particularly pleasant to relax in and Barrio Historico having some lovely old buildings. The redevelopment of the waterfront and piers has improved things and the rock arch at La Portada is one of the city´s main sights. Most people only stop over on the way to other sites in the area. 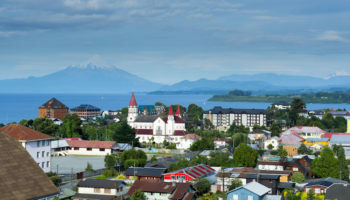 With two domineering volcanoes in the background and the sparkling lake Llanquihue lying before it; Puerto Varas is certainly a picturesque place to visit. 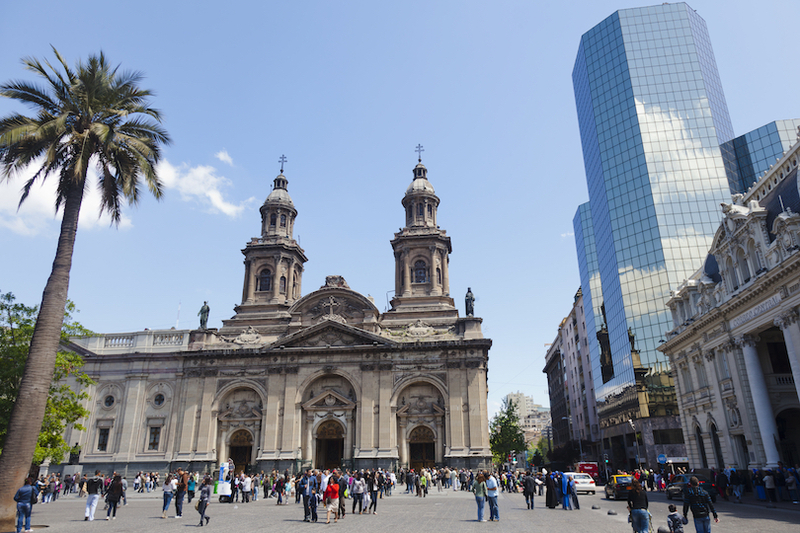 With its German heritage and colonial architecture, the city feels as if it has been taken out of Bavaria and the mix of Chilean and Germanic influences is intoxicating. As there are a plethora of great outdoor activities lying on its borders, many people use it to explore the surrounding rivers and forests with Vicente Perez Rosales National Park being particularly popular. A relaxing, laid-back, peaceful place, the beach resort city of Arica is perfect for kicking back and lounging on the beach. With its fantastic climate and constant sunshine, it´s a popular destination with Chilean and Bolivian tourists and the centre of town sits below the domineering Morro cliff. Due to its diverse population, the thriving markets are fun to walk around and there are also a couple of nice plazas dotted about. 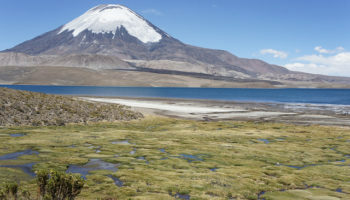 From here you can explore Lauca National Park, head to the nearby Azapa Valley or even venture on to Peru or Bolivia. This commercial city is primarily interesting to visit due to its inextricable link with the Mapuche and and it is their rich cultural heritage that makes Temuco worth stopping by. The colourful markets have lots of local crafts on offer and there are still some old traditional buildings hidden about here and there. Formerly the home of the famous poet Pablo Neruda, Temuco is a leafy tree-filled city which acts as a transport hub for the region. The surrounding countryside is great to explore and Conguillio National Park is not too far away. 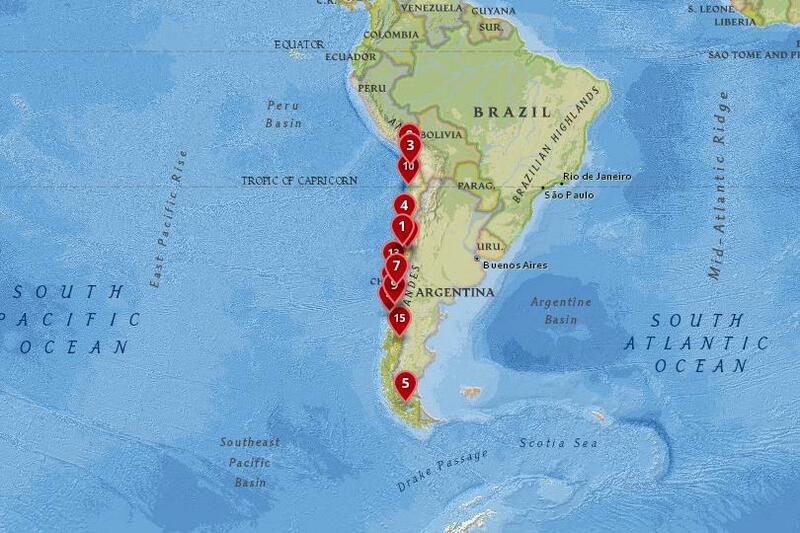 Situated just outside of Valparaiso, Vina Del Mar couldn´t be more different. Clean and uncluttered, leafy avenues cut through the city before palaces and parks give way to the tower blocks that look out over the expansive beach. Nicknamed Garden City, there are some fantastic botanical gardens on offer and although various parts of the city have retained their elegance and charm, large parts of Vina Del Mar look just like any other beach resort around the world with the usual casino, restaurants and bars. It is very popular however for its lovely beaches and every year hordes of people visit for its amazing music festival. An intriguing mix of rural and urban, wooden tin-roofed houses rub shoulders with giant glistening malls and business buildings in Punta Arenas. 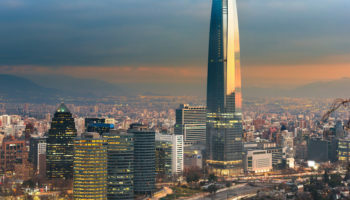 An important port, this sprawling city is located right down south in Chile bordering the Magellan Strait and due to the petrochemical industry the population is growing as the area becomes more wealthy. 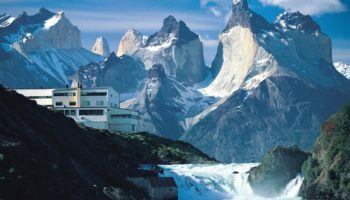 With lots of tourist services on offer and a plethora of stunning sights lying nearby, Punta Arenas is a great base from which to explore the Tierra del Fuego archipelago and Torres del Paine national park as well as neighboring Argentina. The second oldest city in Chile, La Serena is the capital of its region in the north and is a charming place to spend some time. It has a lovely long beach lining the ocean and lots of great colonial and neo-colonial architecture as well as old stone churches and leafy boulevards. Apart from the impressive archaeological museum, La Serena doesn’t have much in the way of attractions but it is very rewarding simply wandering around its picturesque streets and stopping by its bustling markets. 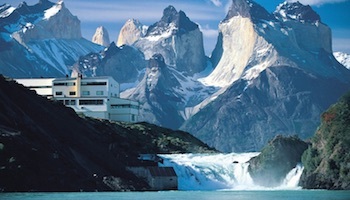 In the early months of the year the city is inundated by Chilean tourists but is more relaxed the rest of the year. In the area surrounding La Serena you can make a few great day trips to nearby beaches and the small villages and vineyards that dot the region. Spectacularly located at the foot of a desolate coastal mountain range with a gigantic sand dune overlooking it, Iquique is a bustling cosmopolitan city with a fantastic beachfront. 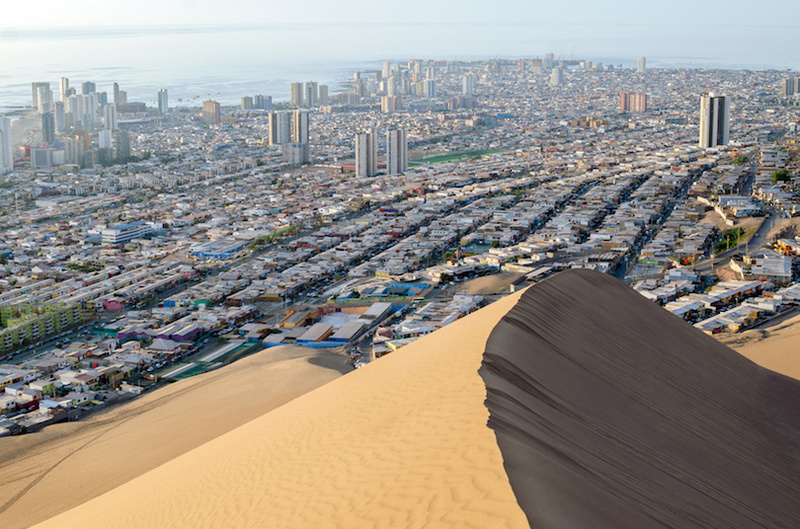 As it borders the Pacific Ocean and is in a duty-free shopping zone, an eclectic mix of people descend on the city with surfers and casino goers, paragliders and shoppers all equally at ease in Iquique. One of the best beach resorts in Chile, its lovely oceanfront promenade makes for a peaceful and scenic walk as wooden walkways add to its charm. 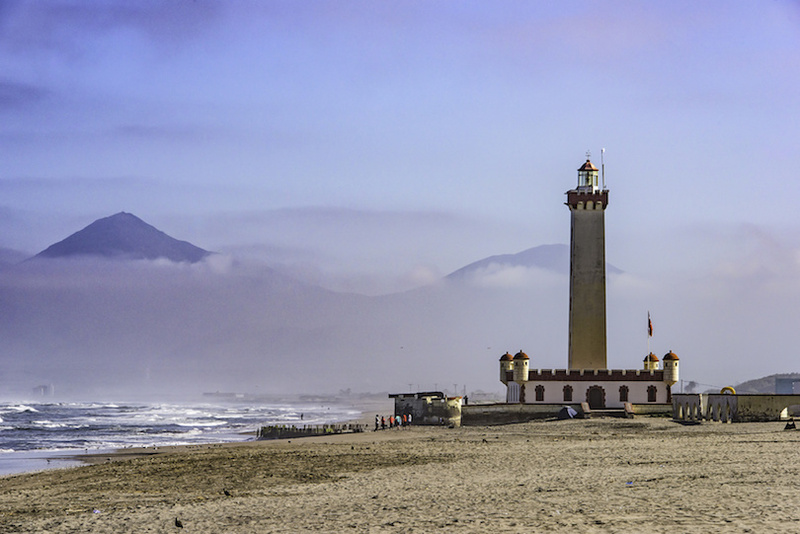 As well as lounging on the perfect beaches, surfing in its waters or paragliding above the dunes, Iquique is also a great place from which to explore the northern part of Chile. 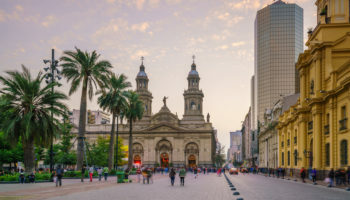 The capital of Chile is home to forty percent of the country´s population and as such it is a bustling, cosmopolitan place full of life and energy. With a wide range of great museums, theaters, galleries and more, there is a vibrant cultural scene with each neighborhood having its own particular feel to the place. A sophisticated city, you can stop by its world-class restaurants and walk through its fancy neighborhoods and leafy hillside parks before heading to the lively nightlife spots and bars in Barrios Brasil. Snow-capped mountains form a beautiful backdrop to Santiago and, due to its proximity to the ocean; you can ski and visit the beach on the same day! 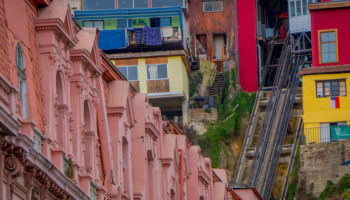 Charming yet messy, colorful but falling apart; Valparaiso´s stunning setting overlooking the ocean only adds to its uniqueness. 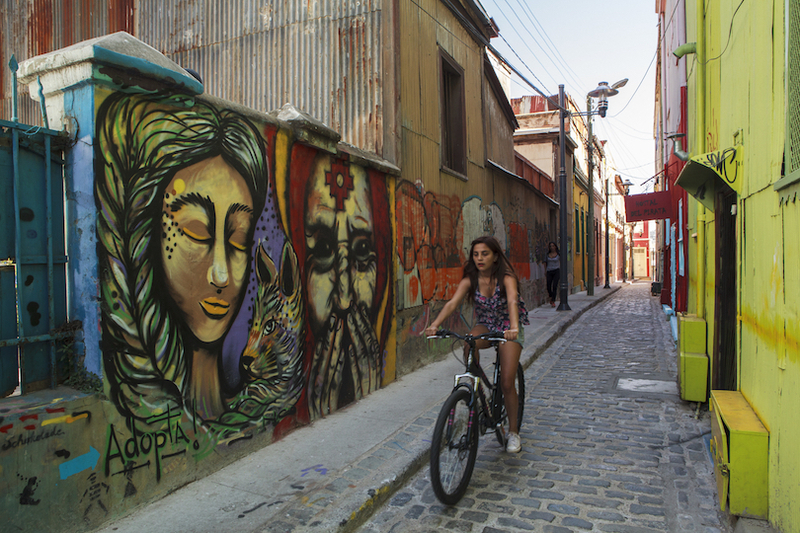 With winding streets and stairways dripping down the hillsides of the city to the water down below and vibrant street art and brightly painted decaying buildings, Valparaiso is a delight to explore and has long drawn artists and thinkers to its shores. Despite its bohemian feel, the city is quite grimy and edgy as sailors and prostitutes dot its streets and there are a couple of crime-riddled areas which tourists should avoid. 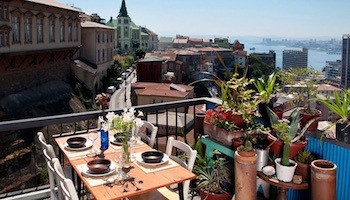 Having said that, Valparaiso is one of the most popular cities to visit in the country and when you see its old town full of atmospheric cafes and bars around the port area; you´ll surely fall in love with this idiosyncratic place.